Brazilian President Jair Bolsonaro visited Chile at the weekend after meeting in the United States with fellow conservative populist Donald Trump last week. The fact that these two are leading two of the most powerful democracies in the Americas underlines a broader trend with recent academic research suggesting some two billion of the world’s population are now governed by such populist leaders. 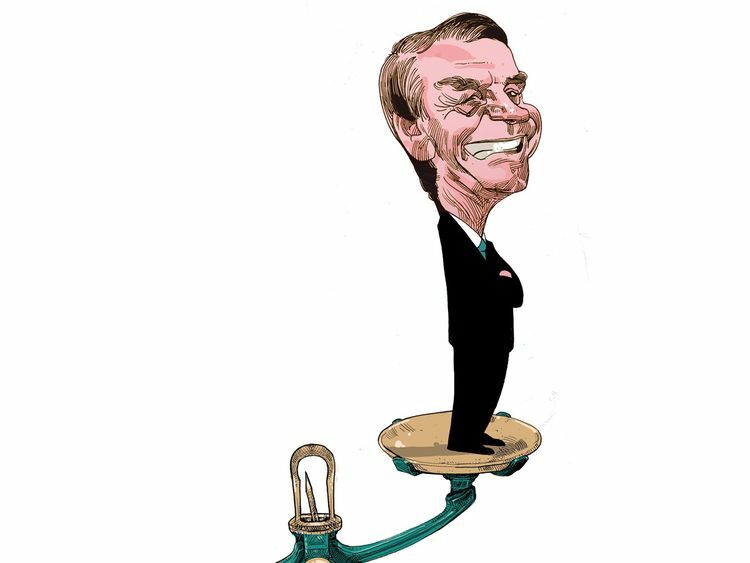 The close personal bond between Trump and Bolsonaro — sometimes known as the ‘Tropical Trump’ — is reinforced by the fact that they won power through similar campaign tactics, attacking multinational organisations, so-called “fake media”, and immigrants. And this electoral success is itself a microcosm of a wider upending of the global political landscape shown in the Global Populism Database which is a comprehensive tracker of populist discourse. In data released earlier this month, the international network of academics involved in the work highlight the extent of what is around a two decade rise in populism by analysing speeches — through textual analysis — by key leaders in 40 countries during this period. The research found that, some 20 years ago, only a handful of states — including Italy, Argentina and Venezuela — were the countries with populations over 20 million with leaders classified as populists. According to the Global Populism Database, this-then relatively small “populist club” expanded significantly during the onset of the international crisis financial from 2006 to 2009. But it was not until the last half decade that there has been the biggest rise in populism with the elections across the world including Bolsonaro and Trump. The research highlights that this latest two decade wave of populism is just one of several over the last several hundred years. In the past, for instance, populism has been a recurrent phenomenon in some countries, including the United States. What the research reveals, however, is that this latest wave of populism — fuelled in part by the international financial crisis — has cast a bigger footprint than perhaps ever before. As a result the data indicates that some 2 billion people are today governed by a “somewhat/ moderately populist”, “populist” or “very populist” leader, an increase from 120 million at the turn of the millennium, with the research calling out other leaders like Mexican President Andres Manuel Lopez Obrador and India’s Narendra Modi as belonging in the populist camp. Another key finding is how shades of populism differ across the world. The study found, for instance, that South America populism leans toward socialism (albeit with Bolsonaro as a key outlier), whereas current populists in Europe tend to be right-of centre. The latter growth of populism in Europe is one of the most striking developments in the period under review. The role of economic downturn and austerity has, since the 2008 financial crisis, been key to the rise of populism here, especially in those states most impacted by the Eurozone crisis like Greece and Spain. Unrest, however, has also tapped into pre-existing disquiet with established European political parties and systems. And also a broader range of economic, political, social and technological factors that have also driven unrest across much of the rest of the world too. The diverse nature of this political instability from the Americas to Europe and the Middle East, has reportedly been described as a “revolutionary wave” by Sir Nigel Inkster, former director of operators for the UK Secret Intelligence Service. Looking to the future and potential further growth of populism, one key question is whether this international political instability will tail off in coming years, especially if economic recovery continues to takes hold in much of the world. While this is possible, protest and uprising is likely to continue for at least two sets of reasons. Firstly, there are some factors completely unrelated to the post-2008 financial crisis that will endure, if not intensify. This includes the disruptive role of social media. There remains debate about how instrumental social media has been in fomenting political instability in recent years. However, whether one sees this new technology as an essential component that translated discontent into concrete action, or accentuated what was already-inevitable, indisputably it has played an enabling role that will likely grow. Secondly, even though the worst of the international financial crisis has now passed, its consequences endure, especially for the young people who remain unemployed. This puts at risk of long-term damage to earnings potential and job prospects, fuelling discontent. In the EU, for instance, a relatively high number of people under 25 are still unable to find work. This has given rise to concern, including German Chancellor Angela Merkel about a “lost generation”, especially in states like Greece and Spain where youth unemployment peaked at almost 60 per cent. Taken overall, it cannot be assumed that the rise of populism has peaked, more than a decade after the international financial crisis began. This is partly because the prospect of further political instability fuelled not just by the legacy of the crisis such as youth unemployment, but also longer-standing political and socioeconomic discontent which social media is giving new impetus.